Personally I wouldn't worry at all about the intercooler. Wastegate can be suspect though, and if that doesn't work right or open/close when it needs to you'll have problems. Last edited by 2kdrift; 12-06-2017 at 01:28 PM. I believe the Turbo will definitely be able to put out the power that I'm looking to make but to be sure I'm going to be giving Turbonetics a call on the 11th due to the fact that they're technical support team comes back then. (Gave them a call today) I sent an email for them as well but never got any response. There's some serial numbers on it but I have searched them and never found anything. So I measured the Intercooler piping today just to make sure of the sizes and the hot side is 2" OD and the cold side is 2.25"OD. I think I should be okay with that for my power goal. I am thinking of changing up my intercooler though, but if you guys think I'll be okay with it Ill just save that money and spend it towards other parts. I think I should be okay with that for my power goal. I am thinking of changing up my intercooler though, but if you guys think I'll be okay with it Ill just save that money and spend it towards other parts. I agree with 2KDrift that when an opportunity comes it would be undeniably beneficial to switch to an intercooler with a better quality core, and 2.5" piping, but for right now I would focus on investing in a proper wastegate and good tuning software/plugins. 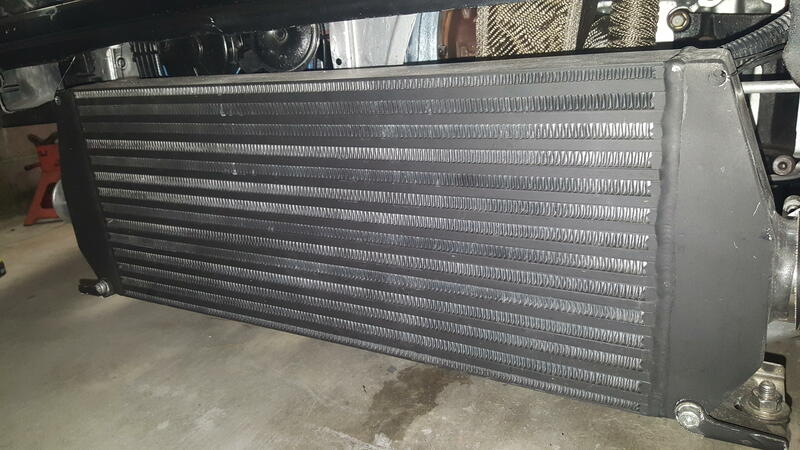 Assuming your intercooler is at least a somewhat appropriate size for your power application and is a bar/plate design I would hold onto it for now, it's something that could be optimized later for better efficiency but it won't even come close to a make/break situation on the build. Okay will upgrade if an opportunity arises, I was actually looking at the G-O Autoworks R-FMIC today and seen it says its 600hp capable. Now since I'm aiming for 400-500, would something like this be overkill and cause lag? Would that all depend on how my turbo flows? Depends on a few different factors, not just the turbo. Getting an IC that's got a little bit of "breathing room" beyond what your estimated WHP will be is a good idea, you just don't want to drastically overshoot it (like running an 800hp intercooler for "bling effect" on a 350whp civic). I think this trend has somewhat died down in the last few years, but there used to be an overwhelming hivemind of "bigger is better" with intercoolers which is absolutely not true. I think the GA R-FMIC would be a great choice for you with the 2.5" inlets and outlets. The vibrant is better then the GO autoworks unit IMO. I had the Goauto Unit I Switched to the Vibrant. I love go auto got my kit from them but as far as intercoolers, dont care for those units you need to step up to a "GT" series to get the quality. Last edited by 2kdrift; 12-06-2017 at 08:23 PM. That Intercooler looks really good and the price isn't to bad. Won't be buying it right away as I still need a proper wastegate etc. But I see what you mean when you say you can see the difference between them. Im going to start posting some picures soon of me disassembling the block etc. Waiting for some bolts to come in so I can mount it to the engine stand. Will keep everyone up to date with this build. Yah I think new go auto one looks really good, still debatable vs the vibrant due to cost. Im just a do it right the first time kind of guy....my IATs were not the best with the R intercooler which is basically what you have now with the EMUSA. my buddy pushes on stock b16a2 valvesprings and retainers 477hp at 20psi!! it was a complete stock b16a2 throttle body, intake manifold and cams too. and this some years ago! I know it is possible but you buddy may be carefull with the right foot. Others are not, you know the "metal eaters" haha. Since he will invest money on taking the engine out plus forged pistosn rods arp etc etc. At least some cheap supertech with steel retrainers should be used. all the time ,the efford, and strategy invested you fart the moment you bend to give her the first kiss. Can you write down whats writen on the turbo i believe i can find what turbo it is. And yes Go autowork intercoolers are very cheap for the quality you buy. ive seen 2 in person. Id go 2.5 on the cold side. Actually, ours are not the same as an "EMUSA"... that very assumption is one reason why the design finally went in to completely redo our cooler line and bring out the GTC 600 first...which is more dense, will flow more, and is more compact than the comparable off the shelf Vibrant assembly. Not that I'm trying to pitch it; but I've literally seen EVERY brand cooler and core you can think of through here. Every aspect was taken into consideration when modeling, prototyping, testing and building the GTC units...unfortunately, that doesn't come at a cheap cost. Tank design, taper, fin staggering, fin type, FPI...I'd put it against ANY comparable on the market in a heartbeat. I picked up an AEM Fuel rail today along with an oil sandwich plate. AEM fuel rail is also not needed. Should have put that money towards a better intercooler. Especially since you will be on pump gas. Higher EGT's mean less power. OP, just wanted to say I've got a TiAl 38mm wastegate with dump tube and a Precision 600hp intercooler for sale. Shipping to Canada might be prohibitive though, IDK. Good luck with the build! Alright so I opened up the turbo today and got some markings/serial numbers off of it. T3 Flange. Inlet size is 3", Exhaust is 2.5". Gold Housing. The sticker says Turbonetics Turbochargers T - 26764. When I take off the compressor housing, there is a little marking that says 20809 and inside the Exhaust housing it says .63. Hopefully she'll be able to do the 400 .That's all I could get from looking at it. I still want to mic it out. Also picked up a Tial Wastegate yesterday. Hopefully boxing day Ill be able to buy either the pistons I want to go with or my management/intercooler stuff. Got in touch with my tuner and he prefers Hondata. I picked up an Apexi Power FC Unit for super cheap, wondering if I should keep it or sell it. My tuner can tune on it so no problems there. Does anybody have any opinions on the Power FC? Also picked up a ITR oil pump brand new. Still need to purchase some pistons. Was wondering if my Stage 3 Competition clutch would be able to hold between 400-500hp? Don't think I'll have much TQ since its a B16 lol. Should I bring my block to the shop to get bored out before I get my pistons or no? I picked up an Apexi Power FC Unit for super cheap, wondering if I should keep it or sell it. My tuner can tune on it so no problems there. Does anybody have any opinions on the Power FC? You're going to have serious haters here on the Power FC, because they don't have their local fan-boy tuner doing the job, but it DOES work.. Quite well, actually. The only problem for most people is that you have to get their integrated Denso Map sensor to plug into that white side port on the ECU. That is an extra cost. You use your OEM Map sensor IN CONJUNCTION with the Power FC Denso 3bar sensor. You don't use a 4 bar or GM style or any other sensor, as the FC won't see it. What most people who have done this conversion do is get the entire Honda/Toyota Boost Control kit, so that it integrates smoothly into the Power FC system. Basically, since you're running Speed Density (That's all Honda), this kit has the Denso 3 Bar Map sensor, Denso Solenoid kit and all the harness equipment. You can completely control boost via this system and not get anything extra. (Don't worry about the MSRP price, that's not really what they cost.). This is laptop controlled boost before Hondata came out with theirs about 8 years earlier. Keep your OEM sensor in the same OEM location and add the Denso sensor. In addition, you'd need the integrating 5 pin or 3 pin harness to the unit, which isn't expensive at all. Again, you CANNOT USE a MAC solenoid system from Hondata or a Hondata/Omnipower map sensor for this. Now, if you're running an independent boost controller like a GReddy or something else, you don't have to get all of the boost control kit, just the 3bar map sensor and the conversion harness to plug that sensor into the side of the Power FC. Again, Keep your OEM sensor in the same OEM location. I believe the Honda one uses a 5 pin harness (like the Evolution D-Jetro), but I'd have to look at mine again. I've sucessfully run the older Power FC for over 10 years, and made over 530whp on it using GSC Camshafts at over 10.2:1 compression. I like it, but since I've changed the purpose of the car, I'm switching over to my Haltech P1000. I didn't do too badly. If you have your Power FC cheap, then the boost control kit and harness are worth the additional cost. you basically now have a $1200 system, with your own display without having to Hondata. If I weren't using a STACK dash in my newer build, I'd be keeping this Power FC, or use my Gen2 FC that's on my NA car. Don't let the "shade" get to you. Last edited by TheShodan; 02-07-2018 at 06:56 AM. <div style="text-align:left;">Alright guys, long time no see lol. Over the time I haven’t posted I have picked up a lot of parts and installed them. 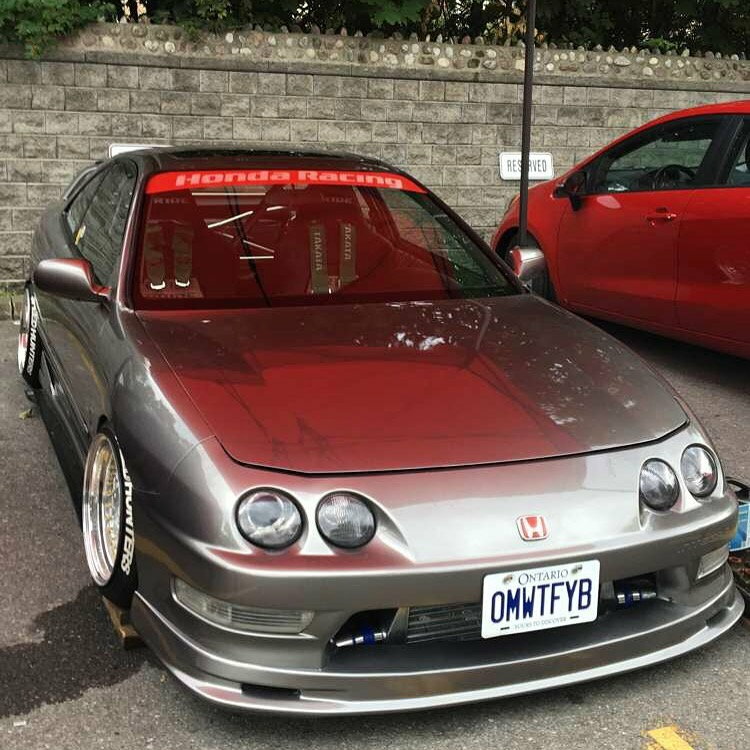 I turbocharged the Integra and got mostly everything done. Besides a tune. I have a tune in it but really only a start up tune, never drove the car. I don’t trust the tune lol. Cars been sitting for quite a while, I picked up an EK coupe for a daily. Now I’ve scrapped the thought of using the Apexi Power FC and have gone with a chipped ECU running Crome. All the work was done in a parking spot lol. Here’s some photos of the car. So I turbocharged the stock motor in the car while building another motor. 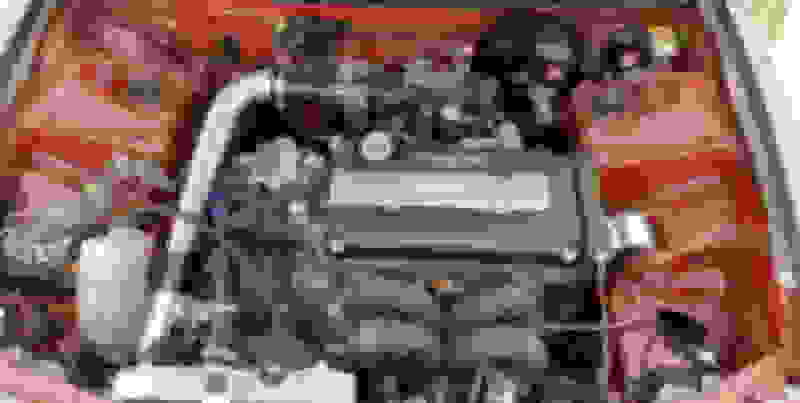 The motor that I will be building is a B16A2. I've picked up some 9.8:1 Arias 84mm pistons for the motor. Now I know that 84mm will not work in a stock sleeve B16A2 so I have got some Darton sleeves as well. Also picked up some ARP Head studs. I am going full B16A2 Top and bottom. The head I will take off the car when the bottom is ready. I've since been deciding on what bearings I should use. I've read way to many posts and threads about ACL Race bearings vs Kings Race bearings. I've also been told to go with ACL Aluglides. I would like to make 500whp and still drive it daily in the summer. This car will not be tracked maybe once or twice a year. I don't know which to go with. Any opinions? I will be updating my build list. 84mm b16's do well. 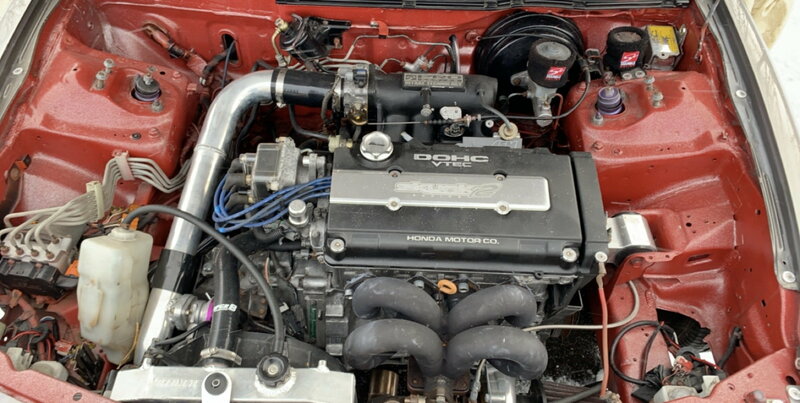 I had one of my customers with a sleeved block 84mm b16, stock head besides itr intake cam and valve springs with a ram horn and eBay 35r that ran 10.9 at 134mph in a full weight ek sedan. The cool thing about b16s is they make fairly peaky torque so you can get them to hook really well on the street. I'm running acl race bearings in both my motors and no complaints so far. I'd say clearance is much more important then which bearings you choose. I had to run acl hx bearings for my rods to get the clearance to where I wanted it. Good luck on the build man. Low compression in 2 cylinders + lugging on cold starts and at low RPM's. starts, cuts off then starts and smokes after IM and TB install,help..
1997 accord low idle and low power at low at low rpm???? Help!! stalls on first 2-3 starts, but then starts & idles fine?